100% Mulberry silk in charmeuse weave. In undye white color, the natural pearly off white of silk, very pretty. 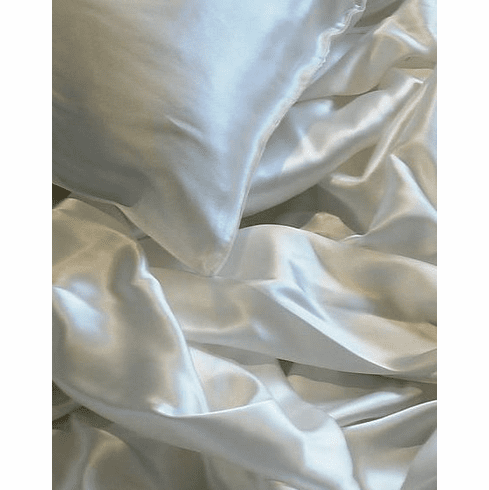 Includes 1 queen/standard size silk pillowcase, one fitted sheet and one flat sheet. Choice of Regular Twin or Twin XL.